Primal Scream have announced their new album 'More Light' will be released on May 6. Frontman Bobby Gillespie revealed the details of the album, the follow-up to 2008's 'Beautiful Future', while speaking on Lauren Laverne's BBC Radio 6 Music show this morning (February 1). Speaking about the album in a previous interview, he said: "It's a rock 'n' roll record, but modern rock 'n' roll. Pretty psychedelic rock, it's kind of guitar-driven but we use guitars in an orchestral way, not in the normal way people make rock records. I think we do it in a more interesting way. We weave the guitars in with electronics and other acoustic instruments to make the core sound." Gillespie has also confirmed that the album has been produced by David Holmes. Mark Stewart of The Pop Group and Led Zeppelin's Robert Plant will also appear. 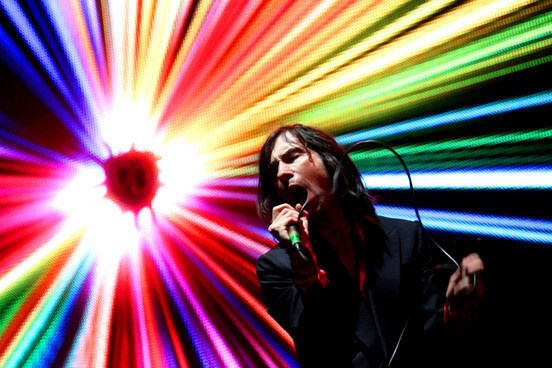 Primal Scream are headlining this summer's Wickerman Festival. The festival takes place on July 26 and 27 in East Kirkcarswell, near Dundrennan, Scotland. Primal Scream will play the opening night of the two-day event.